I like your vestment fabric. How wide is it? Im making Roman sets. Can I order 3.5 yds? 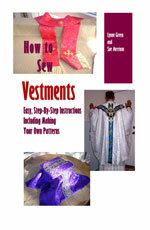 Our vestment fabrics are 60 inches wide. You can purchase it in lengths of 1 yard, 1.5 yards, 2 yards, 2.5 yards and up to 5.5 yards.